The recent controversial decisions of Egypt’s President Mohamed Morsi to retire and replace former head of Egypt’s Supreme Council of the Armed Forces (SCAF), Mohamed Hussein Tantawi and former Major-General Sami Anan created a debate among Egyptians. 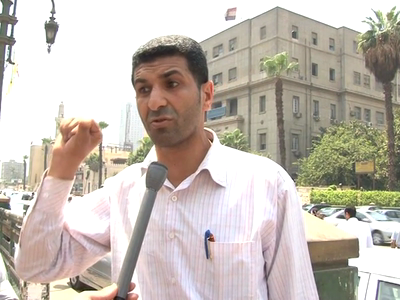 Several revolutionary figures hailed Morsi's Sunday decisions, yet remained skeptical to their potential impact. The debate also involved military experts and political analysts; especially because Morsi cancelled the SCAF Complementary Constitutional Declaration that used to limit his powers as President. Morsi appointed Field Marshall Abdel Fattah al-Sisi as SCAF Chief and Defense Minister to replace Tantawi and Judge Mahmoud Mekki as his Vice-President. Some Egyptians see that Morsi’s decisions were a step on the right track to restore his full powers as the legitimate elected civilian president. Others believe that Morsi’s decisions are against the constitution and represent a step in the Muslim Brotherhood’s attempts to control the country. Morsi said in a speech on Sunday evening that the decisions he made were in the best interest of Egypt and that they were not intended embarrass certain individuals or institutions. The decisions seem to be broadly welcomed by Islamist, non-Islamist and revolutionary parties.